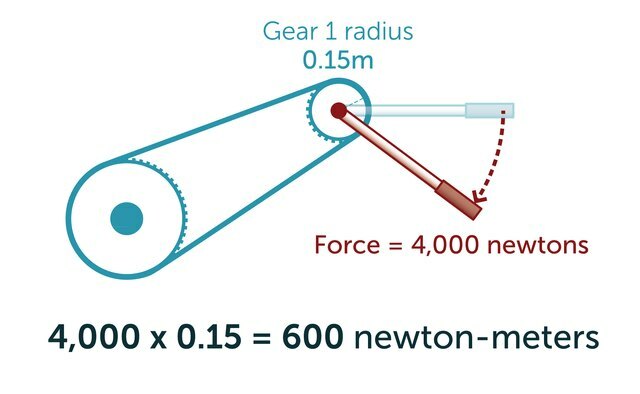 Multiply the force acting on the first gear by the first gear's radius. 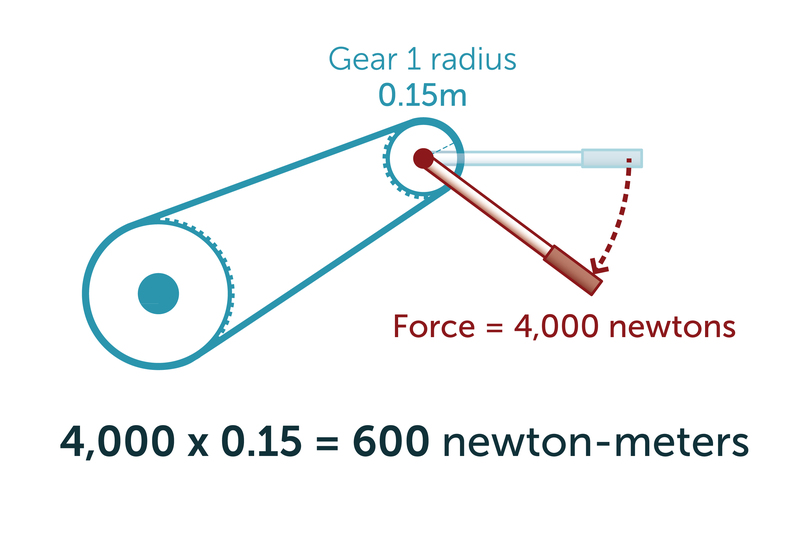 If, for instance, a force of 4,000 newtons acts on the gear, and it measures 0.15 meters in radius, 4,000 x 0.15 = 600. The gear turns with 600 newton-meters of torque. 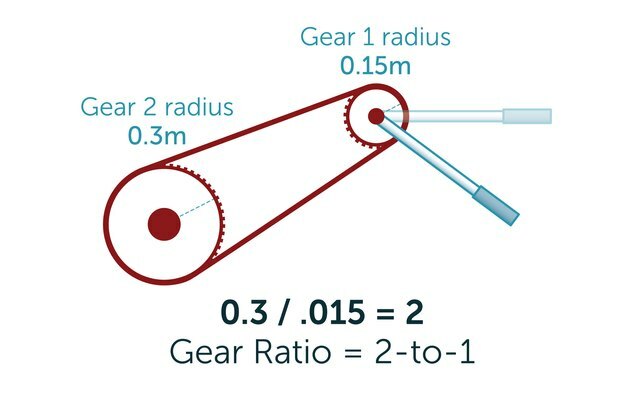 Divide the second gear's radius by the first gear's. 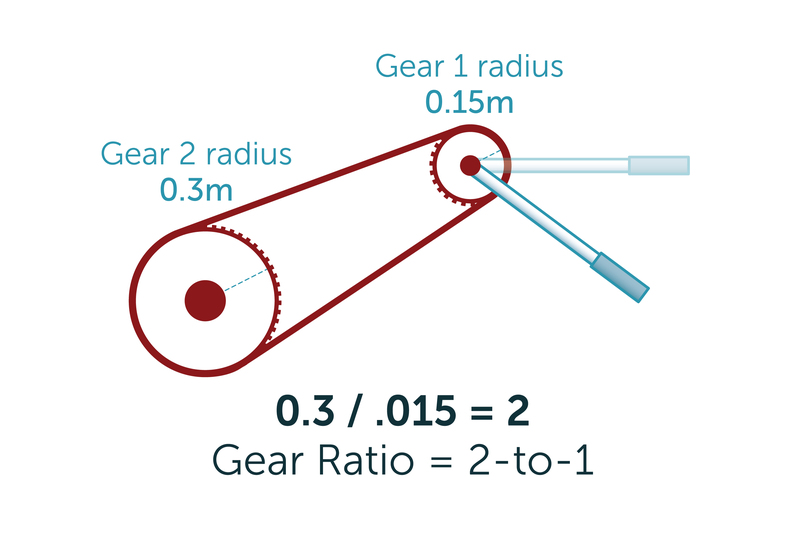 If the second gear, for instance, measures 0.3 meters in radius: 0.3 / 0.15 = 2. The system's gear ratio is 2-to-1. 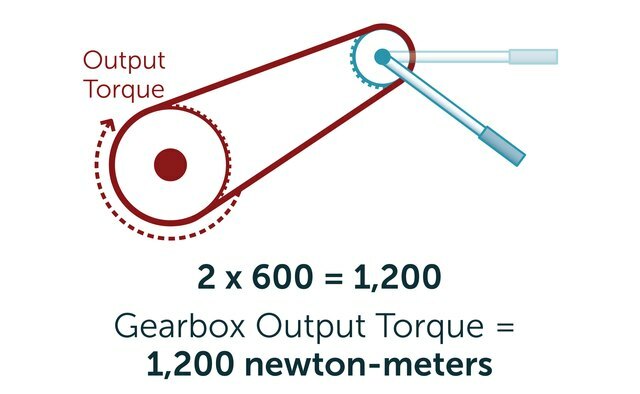 Multiply the gear ratio by the input torque that you calculated in Step 1: 2 x 600 = 1,200 newton-meters. 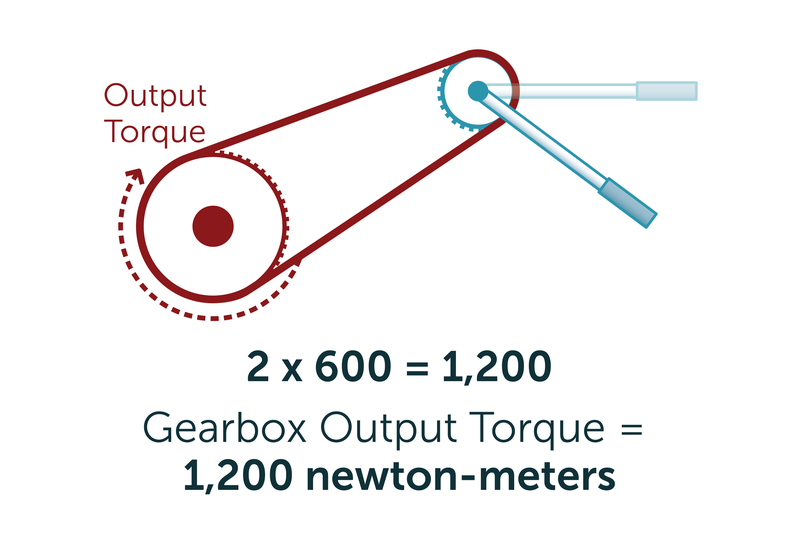 This is the gearbox's output torque.